A “fundamental change” is needed if First Nations want to be in control of their own future. “The other candidates are talking about tweaking the existing path we’re on. I absolutely believe that it’s going to take a fundamental change where our people stand up and take our own power and lead the development of this new relationship with Canada,” said Miles Richardson, former BC Treaty Chief Commissioner and one of four candidates trying to unseat incumbent Perry Bellegarde as national chief of the Assembly of First Nations. Richardson contends that First Nations are in a crisis and have been in that state for quite some time. He says as national chief he can lead the way out of that crisis. “We need to regain sufficient control over our territories, over our lands and seas, our waters, over the social aspects of our lives. We need to regain sufficient control over these to be in charge of our own destiny. That’s why I’m running,” he said. Richardson promises he would not “cozy up to the Trudeau government” and jeopardize the objectives set out by First Nations. “I’m not a compromiser. I’m not going to compromise on that. I’m not going to give in because of the political pressures of being nice to Ottawa or funding levels or anything like that. Once our people set objectives, we’re all in on achieving them,” he said. Richardson says that while First Nations have different processes in place, they still share interests and goals, and a common obstacle. “Our main obstacle is this government of Canada that doesn’t recognize our fundamental humanity, who doesn’t recognize our fundamental human rights as people and will not seriously address our rights in our own homeland,” he said. Richardson sets as his priorities asserting nationhood through asserting title and rights; closing the gap between Indigenous and non-Indigenous peoples; and building self-sufficient nations through strong economies. While Richardson acknowledges the Trudeau Liberal government for making headway on a number of issues (Murdered and Missing Women and Girls national inquiry, water treatment plants, and investment in the National Guardians program), he says when “push comes to shove” and First Nations question specific federal government objectives, the Liberals are quick to abandon the nation-to-nation partnership and revert to making the decisions. “Those are the times we’ve got to re-strengthen, redouble our efforts, tighten our unity and move forward and force them to respond. That’s what leadership in the AFN can do and that’s what I would do as national chief,” he said. Richardson says changes are needed in how the AFN operates. While he believes the AFN doesn’t engage in “deep negotiations” involving title and treaty rights with the federal government, the national organization does wield too much authority when it comes to making agreements with Canada for social programs. “I’m hearing that often on the campaign trail, that the AFN has gotten carried away with its mandate, that they’re acting too much like a government. If the chiefs think that that’s true (then) I think that has to be changed,” he said. Richardson says the AFN is not a government and should not act like a government. He claims that as the AFN stands now, it is a reactive organization. He says chiefs are never given enough time at assemblies to discuss issues, build relationships, and establish alliances with each other because too much time is taken up listening to federal ministers speak. The AFN needs to become a gathering place promoting common interests between First Nations, as well as a place where First Nations can learn from each other’s successes. “The Assembly of First Nations still has a leadership role to play amongst Indigenous nations in this country and that is a role of joining, of using its mandate, its resources, its efforts to pull us together in common cause, and help us to find the capacity to assert and to enable our definition as nations and the assertion of our jurisdictions as nations,” he said. Richardson floats the possibility of establishing regional caucuses of Indigenous lawyers to help First Nations implement their own Indigenous laws instead of ceding jurisdiction to the federal or provincial governments all the time. He also looks to the 1996 Report of the Royal Commission on Aboriginal Peoples, which called for about 60 Indigenous nations, reconstituted along traditional and cultural lines. Right now there are approximately 630 First Nations, which are the result of “colonial construct,” he says. Richardson views those 630 First Nations as communities within the larger nations. “That’s what our people have been calling for since contact, to recognize our people where our title, where our treaty rights, where they actually exist in terms of our jurisdiction over our territories and that rests at the nation level,” he said. 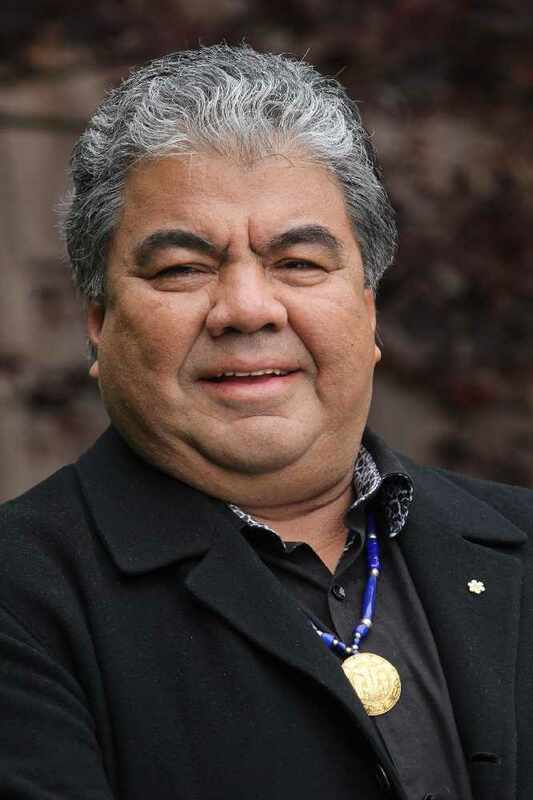 Richardson says his past accomplishments, including his time as president of the Haida Nation Council, show that he is the right person to take the AFN in a new direction and provide opportunities for First Nations. “When you boil this right down, it’s about power. It’s about re-taking the power of our people over our own nationhood, over who we are and about our responsibilities in our respective territories. It’s going to be a tough undertaking. That’s why we have to work together and the Assembly of First Nations, I believe, has a key role to play in that, in leading the bringing together of our people on advocating for unity amongst our people in terms of our common purpose,” he said. Richardson is a citizen of the Haida Nation. Editor’s Note: Watch for other candidate profiles throughout the week.